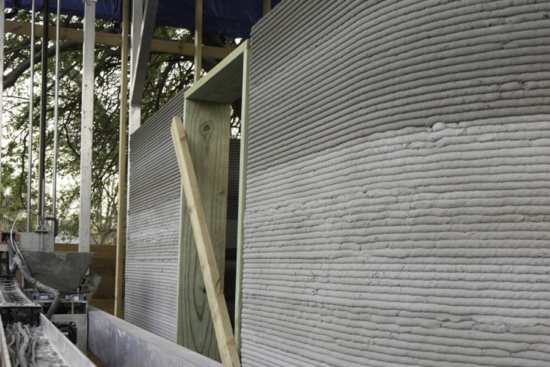 Can this affordable 3-D printed house address the world's housing shortage? - Archpaper.com Can this affordable 3-D printed house address the world's housing shortage? Can this affordable 3-D printed house address the world’s housing shortage? Can this affordable 3-D printed house address the world's housing shortage? ICON's unveiled 3D printed home (Courtesy ICON). 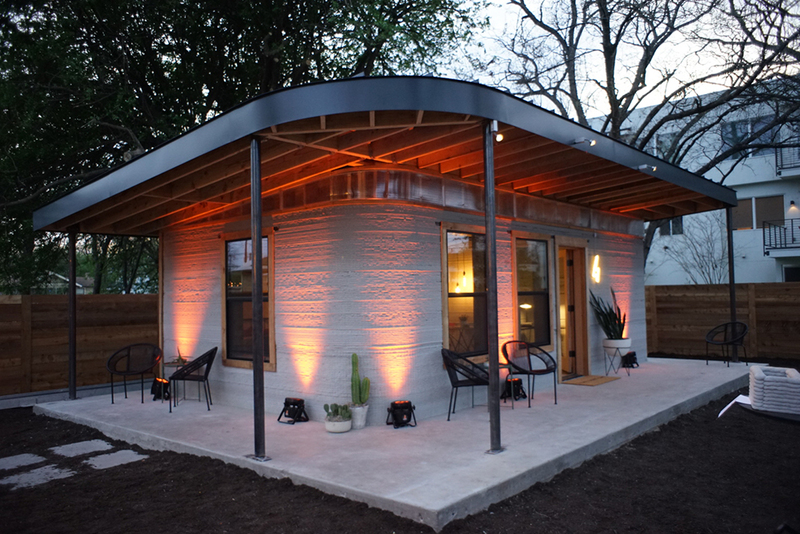 At this year’s South by Southwest Festival (SXSW), Austin-based startup ICON unveiled the first residential permitted 3-D-printed house in the United States. ICON is partnered with the non-profit New Story, which has constructed homes for thousands of displaced residents across Haiti, El Salvador, and Bolivia. The young firm views their technology as a practical tool to address the sheltering needs of the approximately billion people on the planet that lack a home. Exterior detail of the Vulcan-assembled home (ICON). The home was constructed with ICON’s Vulcan printer, a prototype developed specifically for the project. The printer is capable of assembling a single-story, 600 to 800-square-foot home in twelve to twenty-four hours, at a cost of $10,000 per unit. ICON hopes that ongoing research on the prototype will reduce the construction cost to under $4,000. According to the New Atlas, the firm will use the model home as its own office to properly gauge its performance. 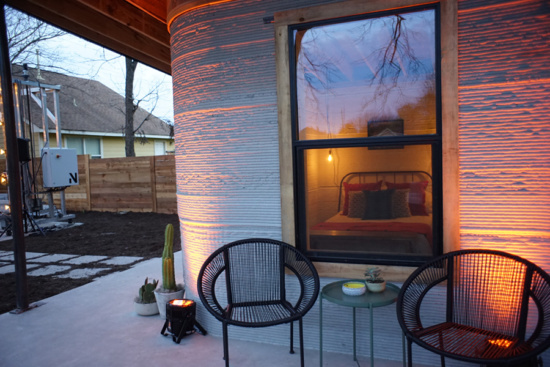 The unveiled 3-D-printed house consists of a bedroom, bathroom, living room, and porch, arranged around a modest 350-square-foot floor plan. Future models will include a kitchen and an additional bedroom and larger square-footage. Vulcan assembly in action (ICON). The Vulcan uses a construction process similar to concrete slip forming, with a continuous flow of mortar guided along a pre-programmed path. Slip forming allows for the building up of concrete layers in rapid succession. While the Vulcan printer crafts the overall structure of the home, contractors are required for interior finishing and the construction of roofs and windows. However, Quartz reports that ICON is researching the capacity of robots to install windows and the 3-D fabrication of roofing units. Proposed scale of Vulcan production (ICON). As reported by The Verge, after material testing and necessary alterations to design, ICON will ship the Vulcan printer to El Salvador where it will be utilized in the construction of 100 homes in late-2019. While the Vulcan’s current efforts are devoted to the fabrication of houses in distressed regions, ICON does intend to introduce its technology to the US affordable housing housing market.